Hormel Foods really wants you to fix your holiday fruitcake by adding – yep – bacon. Claxton, Georgia, the self-proclaimed fruitcake capital of the world, churns out more than 4 million pounds of fruitcake each year. The pop culture ridicule also doesn’t stop bakers and chefs from experimenting with new takes on the traditional fruitcake recipe. Every year, fruitcake enthusiasts from around the country attempt to make the dessert more palatable to modern tastes, in an effort to elevate the fruitcake back to its status of official holiday dessert. And because it’s 2017, and we’ve collectively decided that there is one ingredient that makes everything it touches more delicious, Hormel really wants you to fix your holiday fruitcake by adding – yep – bacon. 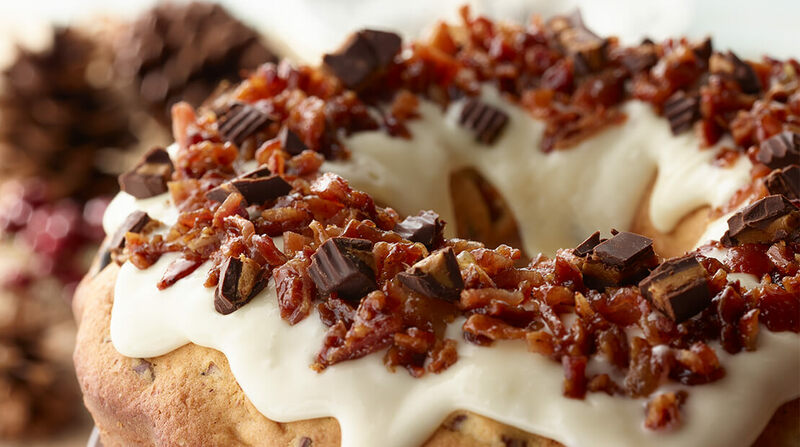 And if bacon can save fruitcake, maybe it really can do anything.